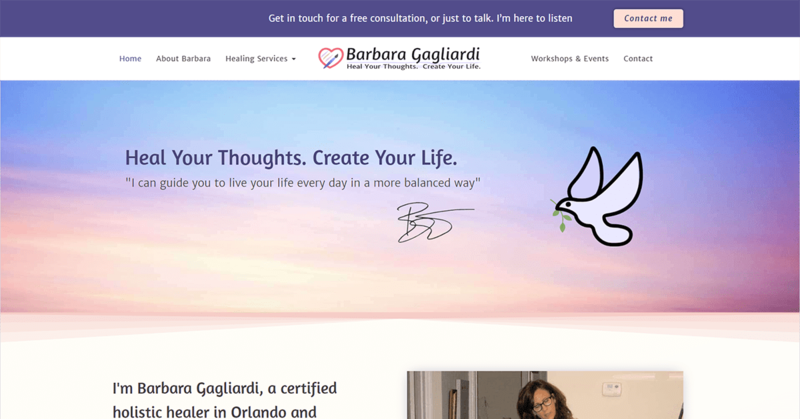 Barbara​ ​Gagliardi​ ​is​ ​a​ certified ​holistic​ ​healing​ ​therapist in​ ​the​ ​Orlando,​ ​FL​ ​metropolitan​ ​area.​ She ​provides​ ​hypnotherapy,​ ​energy​ ​balancing, meditation​ ​sessions​ ​and​ ​workshops,​ ​intuitive​ ​readings​ and ​other​ ​services​ for clients​ to help them ​nurture​ ​a​ ​more​ ​healthy​ ​and​ ​balanced​ ​state​ ​of​ ​being. 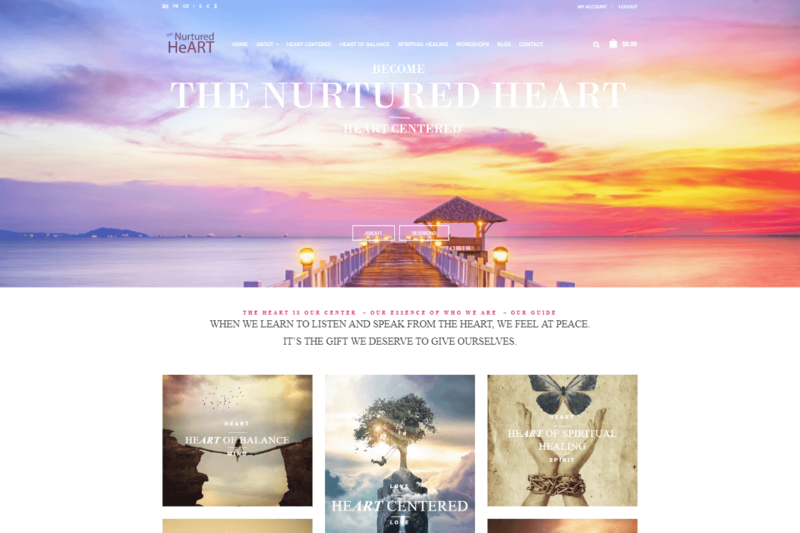 As of our first meeting, her existing website had been on the domain thenurturedheart.org since 2016. The messages on her site were unclear, and her brand did not accurately reflect her personal identity and values. The site didn’t fully describe all of the services she offers or communicate their value in a compelling way. Overall, the site was not communicating the professional image she needs to consistently attract her ideal clientele. So the site was not bringing her any new contacts or business. We needed to start fresh and re-imagine her brand from the ground up. We held regular video meetings to discover, strategize and design a full Custom WordPress site with a new brand, new content and new approach. We did a thorough Keyword & Competitor Research for her market space and discovered the domain holistichealingorlando.com. 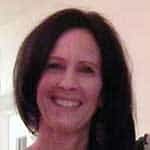 We recommended building the new site on that domain and targeting ‘holistic healing orlando’ as her main site keyword. Then we branded her business and website using her name for a personal touch. Her ideal target audience for the new website is primarily women from approximately mid-30’s to 60 years old. All her ideal clients tend to be spiritually minded, open to alternative modes of healing and life enhancement, and are searching for a more balanced, harmonious and happy way of daily living. "Josh is a technical wizard as far as I am concerned. He’s extremely efficient regarding his knowledge and skills, coupled with a welcoming and caring demeanor. I highly recommend Clear101 Media for clear, direct and visually creative web design. Thanks Josh :)"
We did a full exploration of her business needs and goals, and did a thorough Data Discovery to ensure the new site has all necessary pages and information. We created a UX Site Map to show all new site pages structural relationships. We did a thorough review of her closest competitors sites to learn how to make her stand out in her space. Keyword research revealed the best phrases to use for the new pages, and how to structure the site for easy Google indexing. We developed an SEO Silo site structure using the keyword research and UX Site Map as guides. Now the site shows strong topic relevance to Google and targets the most relevant keywords for her services and subject matter. We met regularly on video chat to dive deep into her business identity, vision, and values. We explored her ideal client's problems, needs and goals. That's how we found the most compelling brand messages for onsite and online marketing. The content for her new site was pulled from the Brand Strategy and Content Questions documents we filled in. We used that text to write and edit the content together for each page, using web copywriting best practices for conversion. Each page has sequence of messages that tells her story clearly, is easy to read, and guides the reader down the page, answering each of their questions in turn so they will reach out for more information, a newsletter, or live chat with Barbara. After discussing her ideas from the Brand Strategy, we updated the heart themed visual brand she was using on her old site. The new site has lighter, pastel colors for a brighter feel. The Service pages have a shifting pastel colored background. We used the Elementor Page Builder and GeneratePress theme to custom build the site plans from the strategy, branding and content work. We launched the site online using a thorough security, backup, performance and SEO checklist. 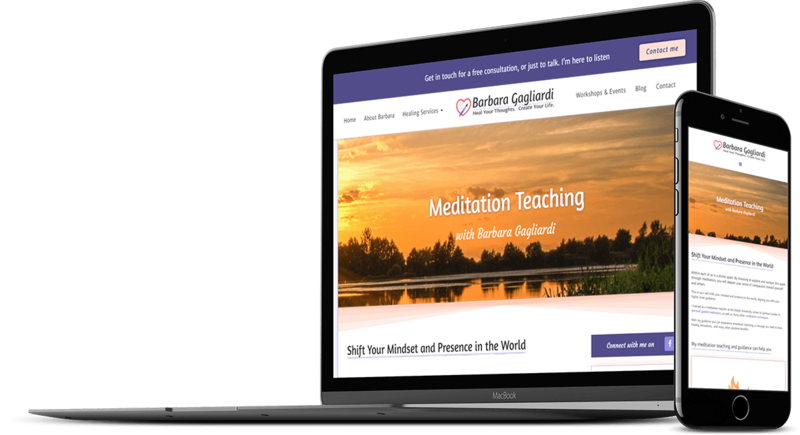 All throughout the project we were glad to educate, coach, and help Barbara with her questions and understanding her new website, and we continue to in our ongoing business relationship. 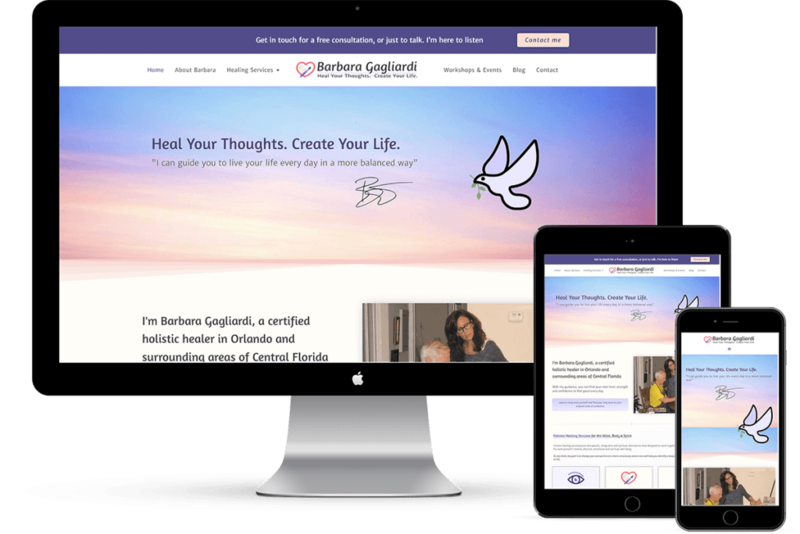 Since Holistic Healing Orlando was recently launched, Barbara has received high compliments on the professionalism and overall feel of her new website. She’s also learning how to use online applications, work with files and utilize google docs to be more organized and efficient in working with her website and online marketing, as we continue working together to get the site in front of her ideal customers and sign new business. "I had a website that was visually pleasing, however it was not bringing me any business. Josh explained the course of action in detail: everything we needed organize and set up my site. He has a unique way of putting everything together in way that makes sense. Josh is a listener and developer all in one"